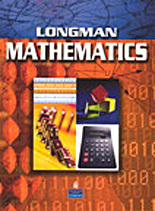 With an emphasis on academic skills and content knowledge, Longman Mathematics prepares English language learners and struggling readers in grades 6-12 for success in standards-based classes. Students develop strategies for understanding the language of mathematics. Students develop an understanding of how to read, interpret, and respond to math word problems. Students explore basic mathematical ideas, including numbers, fractions, ratios and percents, and an introduction to geometry and measurements.